We are moving toward the year end holidays and the beginning of a new year. Very exciting time as many people transition from the world during this time preferring to end this dance of life while many other are awakening. Just completed an Awakening to Crystals workshop yesterday. Many new people attended who have been attracted to the crystal energies and who are determined to become more fully embodied by staying centered and grounded in their bodies.Very encouraging as each understands that when fully embodied they become a healing presence. 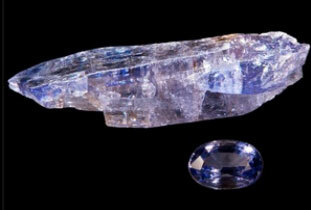 I've highlighted Tanzanite in the information below. I have begun wearing it after realizing that I was relying too heavily on my masculine energies to push through various aspects of work. Slowly, I am finding my rebalanced center and some of the stories I tell myself that led to the imbalance. 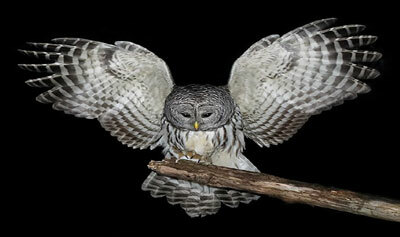 Owl Medicine is coming up in January (25-27). There are some spaces still open, however following this last weekends' workshop, I expect some people deciding to come. May your new years be filled bountiful blessings. All purple and blue varieties of the stone are the result of heat treatment. The stone is a yellowish-brown "bug juice" color when it is mined, but when heated to between 800-900 degrees Fahrenheit, it becomes that gorgeous violet blue that is used in jewelry. The stone has never been found in another locality, so it is indeed a depleting resource. It is somewhat soft (6-7 on Moh's scale of hardness), and has a direction of cleavage, along which it can be easily broken. It is desirable because of its elegant and opulent color. 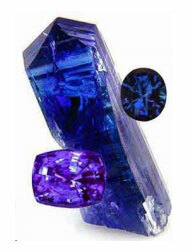 Tanzanite stimulates the throat, third-eye, and crown chakras. It brings together all aspects of both communication and psychic power, allowing the user to adequately communicate visions. It can be used to stimulate the crown chakra to produce visions of higher spiritual realms. The energy acts as a spiraling force, reaching to invite protection and safety during all activities. It is a "stone of magic", producing the perfect symmetry of personal power and actualization. It does this by balancing the masculine and feminine energies with the person. When in balance, it brings the "will" to the aid of manifestation, and enhances both the beginning and the end. Not to be confused as an act of force, "will" is the intent to support and allow the manifestation in an act of knowing versus wanting and therefore a perfect act of creation. Tanzanite was used by the ancient Celtic chiefs to aid in decisions concerning successor-ship. It was used to facilitate communication with the spiritual world of the ancient tribal communities which were located throughout the world. It can bring, to the user, the revelations of the gods. 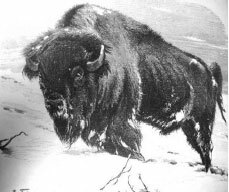 It has been used to assist in encountering the different aspects of the self and to understand the imagined wonders which exist on other planes. The energy is also conducive to facilitation of encounters with other-worldly beings, counteracting ones self-limiting concepts of space and time. It further provides for the elucidation of universal mysteries and for a unity of direction. It can be used in the treatment of skin disorder, mis-alignment of the spinal column, and disorders of the eyes. It can be used to bring one from a comatose state.